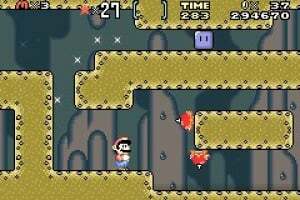 When Super Mario World was released in 1991, it turned the action/platform genre on its head. The game's incredible depth and unrivaled creativity made it an instant success, and even today it stands up to the test of time. 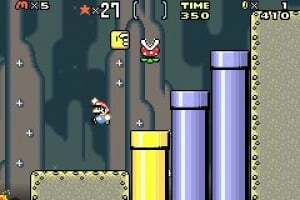 Ten years later, other game designers are still striving to create a platform game as intense and challenging as Super Mario World. It's hard to believe that the entire adventure has been wrapped up in a portable package, but it's true. 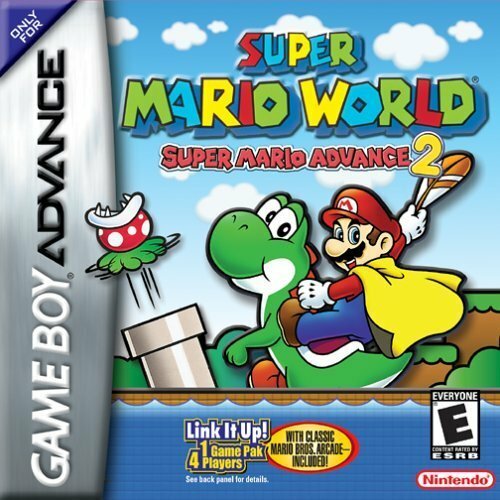 From graphics to gameplay, Super Mario Advance 2 recreates the classic Super Mario World experience perfectly. The development team even used a special color palette designed to make this one of the brightest, most vibrant GBA game to date. While planning the perfect vacation on Dinosaur Island, things go awry for Mario and Luigi when they learn that Princess Peach has once again been kidnapped by the ever-diabolical Bowser. Being chivalrous plumbers, Mario and Luigi set out on a massive adventure to rescue their long-time friend. To reach their goal, they'll have to crush Bowser's evil Koopalings and solve some of the most challenging puzzles they've ever faced. 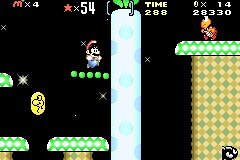 Players can choose to play as either Mario or Luigi before entering a level. Mario is more speedy than his brother, and Luigi can float in the air longer than his pudgy sibling (a new feature in the Super Mario Advance version). 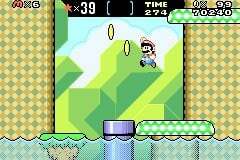 By collecting power-ups, both brothers can take advantage of awesome special abilities. 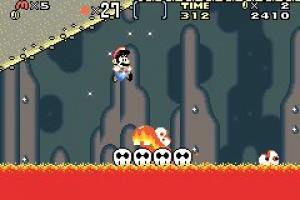 A Mushroom makes Mario grow, a Fire Flower allows him to shoot fireballs, and a feather equips Mario with a Cape. 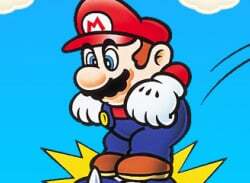 The Cape can be used to eliminate enemies, or it can also enable Mario to fly briefly if he has enough space to get a running start. 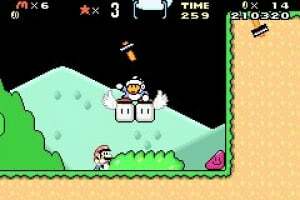 Other moves include a block-breaking Spin Jump and the ability to carry items like Shells and P-Switches. P-Switches turn blocks into coins and vice versa, which provides plenty of fodder for fun, perplexing puzzles. Another great gameplay feature is the ability to ride Yoshi. In fact, Yoshi's very first video game appearance was in Super Mario World. When riding Yoshi, Mario or Luigi can make their dino pal slurp up enemies, regurgitate fireballs and carry special items. This was my fifth Game Boy Advance game back in 2002 (the year I moved here). I think this is a decent port of the SNES launch title. The only main problems I have with it are the ridiculously lighter color scheme (why did GBA games have to be bright?) 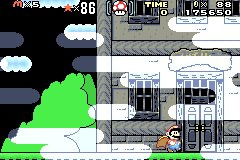 and slighty weaker sound samples (compared to the SNES original, which had great sound samples). 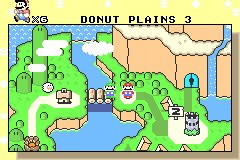 Otherwise, it's a decent port (neither port nor re-release beats the ole SNES classic, imo). In my opinion, this is better than the original. The R Button as the Spin Jump worked out SO much better. I currently have 765 lives sitting on my cartridge. 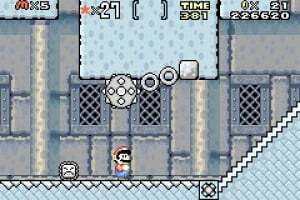 Man, I wasted so many hours hoarding those on Star Road, hahaha. It was nice to see Luigi be his normal height in the port (in the SNES original he was a palette-swap of Mario). Of course, who doesn't love to play the 1983 arcade Mario Bros. remake in these four Super Mario Advance games? 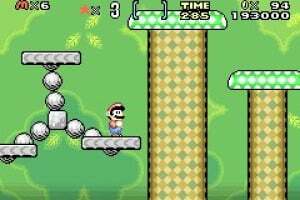 The only things I liked about this game was the fact you could save wherever and the fact that you could play as Luigi in one player mode and he behaved differently than Mario. Other than that, I prefer the SNES version. 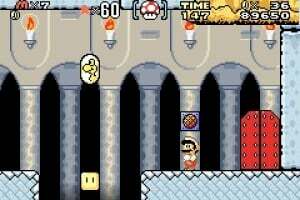 Yes, I too liked the leverage to save whenever you could in the port, instead of just after you beat the switch, mansion, fortress, and castle stages. Not a bad port, except for the sound... as is a common problem on all GBA SNES ports. It's manageable in some parts, but Vanilla Dome is OFF KEY! Ugh, how could they screw that up! There's no real reason to download this. You'll either have SNES Super Mario World already, or if you don't, you should download SNES Super Mario World instead. 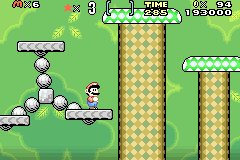 I understand Nintendo probably released it just to get all the Super Mario Advance games onto Wii U. I doubt they expect high sales for it. And even though it is an unnecessary game, it is still a good game. I hope NintendoLife doesn't give it a low score just because the SNES version is already available. The only thing better about the original over this GBA version is the option for two-player. Otherwise, I see this as a superior port. 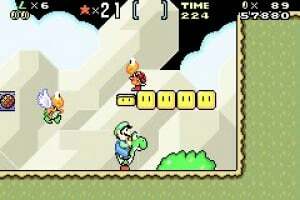 The addition of not only a specific sprite set for Luigi but his own moves and Yoshi abilities, as well as the inclusion of the Yoshi coin collection menu, I only see how players would lose-out on the various improvements should they choose the original instead. My biggest gripe with this being released is the same one I had about Advance 1, and that is no discount for those who already purchased the original game. No two player is a big problem, especially as a console release. I already have the original, and play with my son. I would get this in a heartbeat on 3DS...but Nintendo would rather these portable games be blown up on our HD TV's lol. I don't get it. Honestly I bought Golden Sun as a show of support, then promptly emulated it on my phone (dumped my rom ages ago due to a failing system). I think the less amounts of hits allowed in the original is better. (Stops cheap tricks on the later levels). Problem is I think the emulator for the GBA is much better so I might end up with both. I also despise the Star Coins system. I have this game! I don't have a Gameboy Advance, but I use a GBA emulator to play that game. I prefer the SNES version. Much tighter controls and cleaner presentation.